You can also email us at STCBox@ShakespeareTheatre.org with questions or to set up an appointment time for us to call you. Need to renew your subscription? We’ve released your seats but it’s likely not too late! Call us and we’ll re-subscribe you. Monday – Sunday, 12 – 6 p.m.
Monday – Friday, 6 – 9 p.m. Learn about the benefits of season tickets. We kick off the season with the 25th Anniversary of the annual Washington tradition, Free For All, bringing back Ethan McSweeny’s stunning “ghost light” production of A Midsummer Night’s Dream. 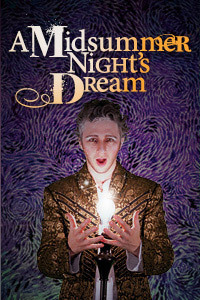 Love, magic, and wonder fill the air in this must-see Shakespeare classic. Set in the ruins of an abandoned theatre, McSweeny’s Midsummer intermingles dream and reality, shadow and spectacle, mysterious metamorphoses and literal flights of fancy in this feast for the imagination. “What happened out there at the end of the desert? The Sea of Death quiet and deadly—rising before me. Of that night I never spoke again. In this bold new work, internationally acclaimed adaptor/director Yaël Farber reworks Oscar Wilde’s play with ancient Arabic and Hebraic texts. The result is an urgently relevant exploration of the woman’s voice in history, oppressed people’s power over their own bodies, and the explosive connections between religious and political uprising. 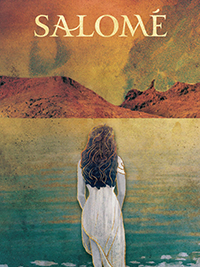 Salomé marks STC’s entry in the Women’s Voices Theater Festival with a world premiere adaptation by Farber, returning to STC after her Helen Hayes Award-nominated Mies Julie. Salomé was commissioned through a grant from the Beech Street Foundation. Salomé is sponsored by the Share Fund. 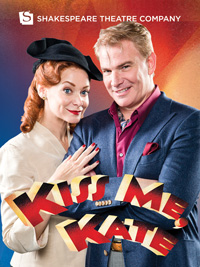 It’s “another opening of another show” with Kiss Me, Kate, American musical theatre’s greatest tribute to the Bard. 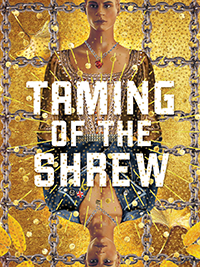 As they try to stage a musical version of Shakespeare’s The Taming of the Shrew, sparks fly on and off stage between Fred Graham, the show’s director and star, and Lilli Vanessi, his leading lady—and ex-wife. Add to the mix a pair of passionate young lovers and a few musically inclined gangsters’ heavies, all under the direction of STC Associate Artistic Director Alan Paul, Helen Hayes Award winner for A Funny Thing Happened on the Way to the Forum. The result is a sharp and witty night with Cole Porter’s biggest hit and the winner of the first ever Tony Award® for Best Musical. Experience a madcap night of life in the theatre with two classic behind-the-scenes comedies under the direction of STC Artistic Director Michael Kahn. Playwright and adaptor Jeffrey Hatcher (The Government Inspector) returns with a fresh take on Richard Brinsley Sheridan’s 18th-century romp The Critic, a whirlwind comedy about bad theatre, worse playwrights…and, worst of all, the critics. 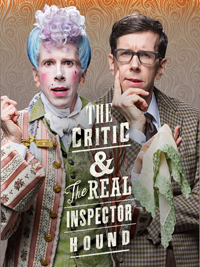 The antics continue with Tom Stoppard’s The Real Inspector Hound, an ingenious play-within-a-play in which two critics find themselves caught up as unsuspecting suspects while they watch a classic 1950s-style whodunit. The Critic and The Real Inspector Hound are sponsored by Arlene and Robert Kogod. The Critic was commissioned through a grant from the Beech Street Foundation. Internationally acclaimed director Ron Daniels joins STC to helm Othello, Shakespeare’s tale of jealousy, duplicity, and destruction. Among the exotic airs and mysterious shadows of Cyprus, newly married and promoted Moorish general Othello finds himself the pawn in the manipulative games of his right-hand man, Iago. 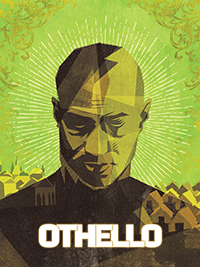 As his imagination is poisoned, Othello rapidly spirals from hero to murderer in one of Shakespeare’s most haunting tragedies. April, 1984. 13:00. Comrade 6079, Winston Smith, thinks a thought, starts a diary, and falls in love. But Big Brother is watching him—and the door to Room 101 can swing open in the blink of an eye. 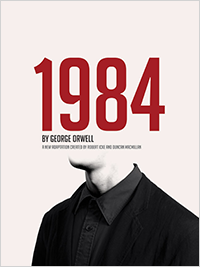 George Orwell’s chilling vision of a dystopian future is brought to life in a radical multimedia production by the U.K.’s acclaimed Headlong theatre company. Called “a brilliant retelling” by the Guardian, Headlong’s production of 1984 explores surveillance, identity, and the security state. See why Orwell’s 1949 novel of a totalitarian world—the definitive book of the 20th century—is as relevant now as ever, and particularly resonant in the political environment of Washington, D.C.
Director Ed Sylvanus Iskandar brings his unique, interactive style to D.C. with a provocative new approach to The Taming of the Shrew. This all-male, gender-blurred production explores the complex machinations of Kate and Petruchio’s relationship. Known for his epic, immersive performance-style works (The Mysteries), Iskandar examines identity, authenticity, and gender roles within one of Shakespeare’s most notorious texts. Director Ed Sylvanus Iskandar and The Taming of the Shrew are underwritten by the Clarice Smith Series: New Directors for the Classics.